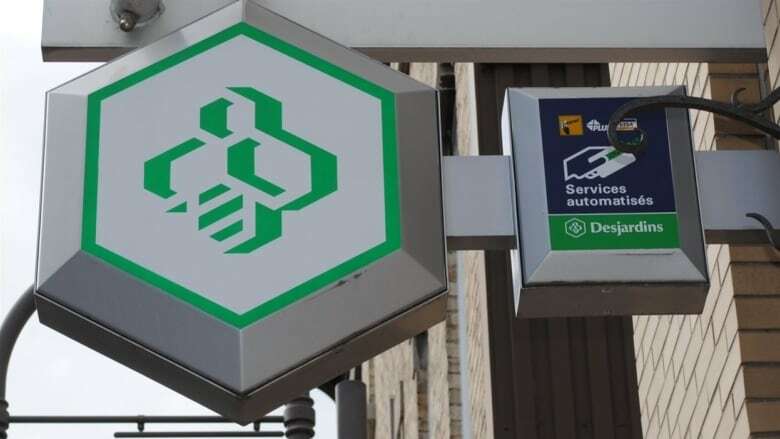 Changing banking habits have prompted Desjardins to close some of its locations and remove ATMs in certain towns across the province, due to a drop in use as people turn to online banking. Quebec's federation of municipalities (FQM) has joined some small-town Quebec mayors in decrying Desjardins' decision to get rid of automated teller machines in several communities, arguing that ATMs are central to the regions' economies. Changing banking habits prompted the Desjardins credit-union movement to announce the closure of several of its locations. The company is seeing a decrease in the use of their ATMs as people turn to online banking, its regional vice-president, Marc Villeneuve, told the Canadian Press on Tuesday. FQM president, Jacques Demers, said he requested that a joint committee be created at a meeting with Desjardins' president on Tuesday. It would bring together representatives from municipalities and Desjardins to brainstorm solutions. "Maybe we can make room for ATMs inside our town halls, or inside a dépanneur. Maybe we can have employees who work for both the municipalities and Desjardins in some places," said Demers. The FQM says although technological transition is inevitable, it could be done more gradually. At least half a dozen communities in the province are facing the prospect of losing their ATM. For the mayor of Outaouais municipality Notre-Dame-de-la-Salette, losing their cash machine will have a devastating impact on the local economy. "Most of the business out in the small towns in the country are cash businesses," said Denis Légaré. Louis-Georges Simard, the mayor of Rivière-Ouelle in the Lower St. Lawrence region, said the banking machine in his town will be pulled next Monday. "There are older people who are used to cash, but are not used to making electronic payments," said Simard. He said while he understands technological change, Desjardins is moving too fast, and has asked for a three-month moratorium. Simard said people in his town are furious. "Today, it's less than seven per cent of our transactions that are made at banking machines," Villeneuve said. Villeneuve admitted it's possible people may have to travel 10 to 12 kilometres between ATMs, "but we put machines where our members use them." "If there are no grocery stores, no service stations, no pharmacy or post office … when there's nothing open in a village, it's difficult to explain why the ATMs should be kept in operation," he said. The company still has 2,000 ATMs in Quebec and Ontario, but says there are no plans to close those in Ontario.